The Museum’s collection of toothbrushes includes a variety of materials and styles. The collection’s earlier brushes, from the nineteenth century, are made of carved bone or ivory, and often have large heads inset with bristles made of animal hair, usually pig bristles. Many of these brushes have brand or model names inscribed on them, such as Pygmalion or Elephant. Some are ornately carved, and some fold in half or have handles that double as cases for the removable brush end. By the 1930s, brushes were often made of celluloid, Bakelite, or other plastics. Nylon bristles were first introduced in 1938 by the “Dr. West’s” brand of toothbrush. The nylon bristles were considered a sanitary improvement over natural bristles, as they were less likely to provide a breeding ground for bacteria and fungus. Many of these later brushes were packaged in glass or plastic tubes which kept the brushes sanitary until after purchase. 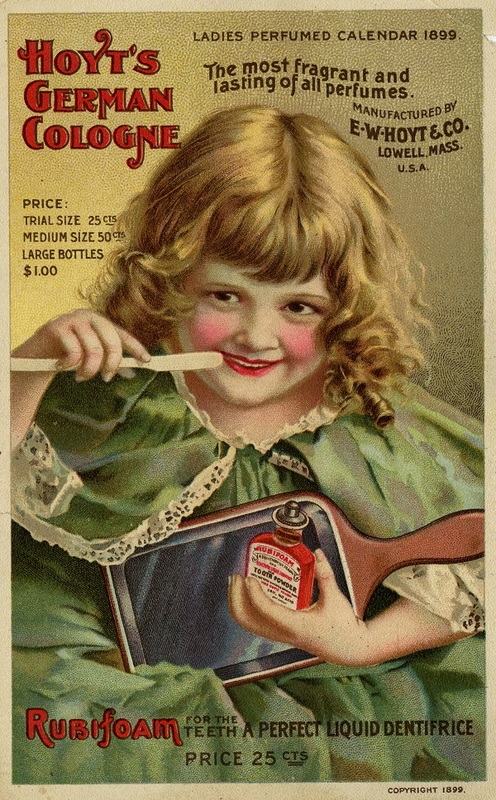 American oral hygiene practices began to evolve in the early twentieth century as government and health agencies educated Americans, particularly school children, about the importance of oral hygiene. Dentists and public health councils argued that a lack of dental hygiene led to other diseases of the body, and that these illnesses kept adults out of work and children away from school. They hoped that by teaching school children good tooth brushing habits the children’s new habits would influence other family members. Historian Alyssa Picard notes that some dentists even suggested that changing immigrants’ oral hygiene practices would “Americanize” them, and that this could be most easily done by educating their children about oral hygiene. During 1910s-1920s, some employers participated in industrial dental hygiene programs, in which contracted dentists examined and cleaned the teeth of factory workers. Employers hoped this enforced hygiene would increase productivity as workers would not miss work due to tooth infections. However, it took a war to change Americans' tooth brushing habits. 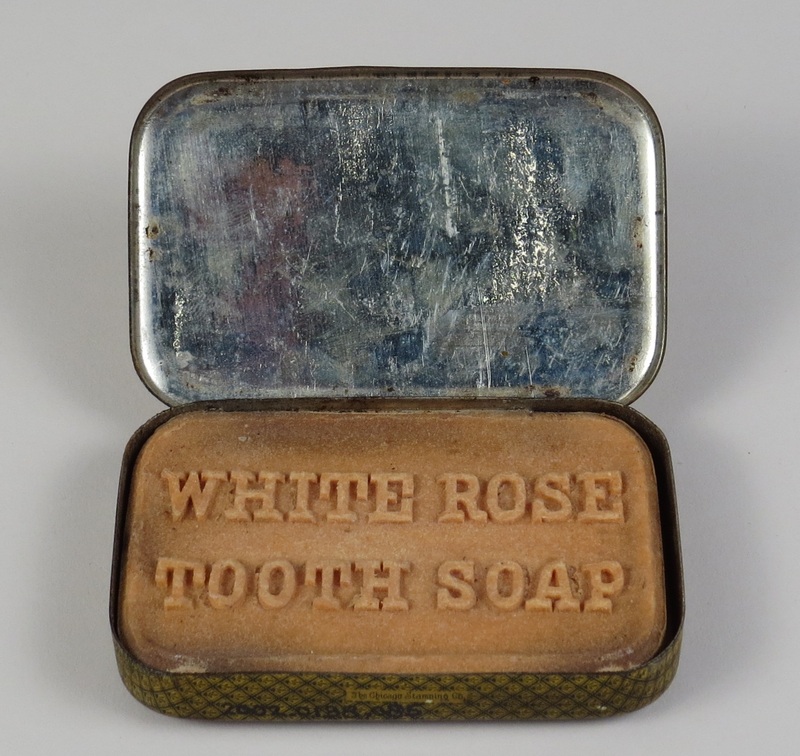 In an attempt to keep soldiers healthy and fighting during World War II, they were required to brush their teeth as part of their daily hygiene practices. Returning home they brought their new oral hygiene habits with them. 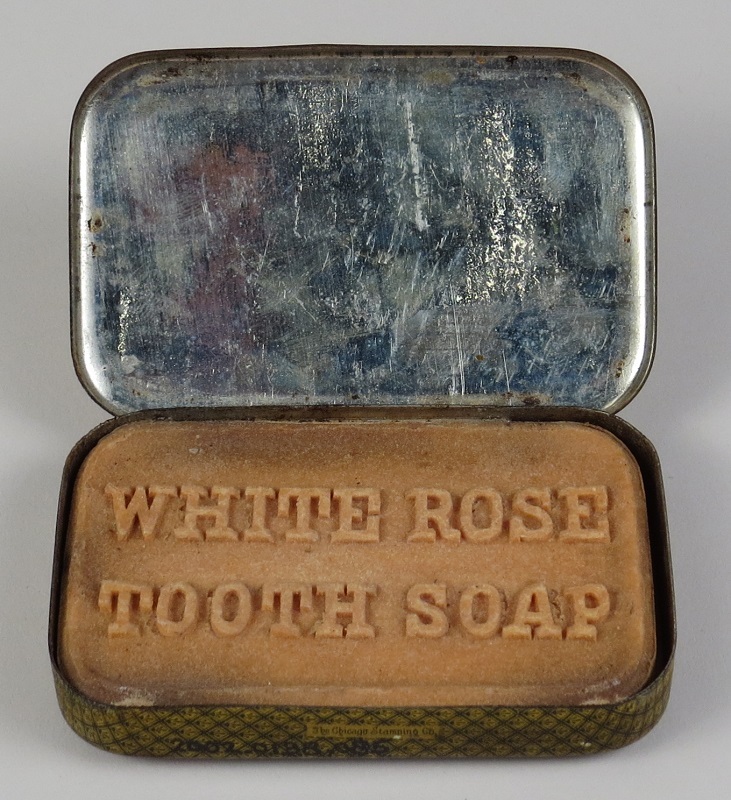 The Museum’s collection of oral hygiene products includes many forms of dentifrice, the term used for any toothpaste, tooth powder, tooth soap, or tooth-cleaning liquid. Druggists often prepared their own powdered dentifrices, or bought pre-made powders which they “put up” under their own label. Commonly used ingredients included orris root, powdered cuttlebone (the internal shell of a cuttlefish), sodium bicarbonate (baking soda), calcium carbonate (chalk), and charcoal. 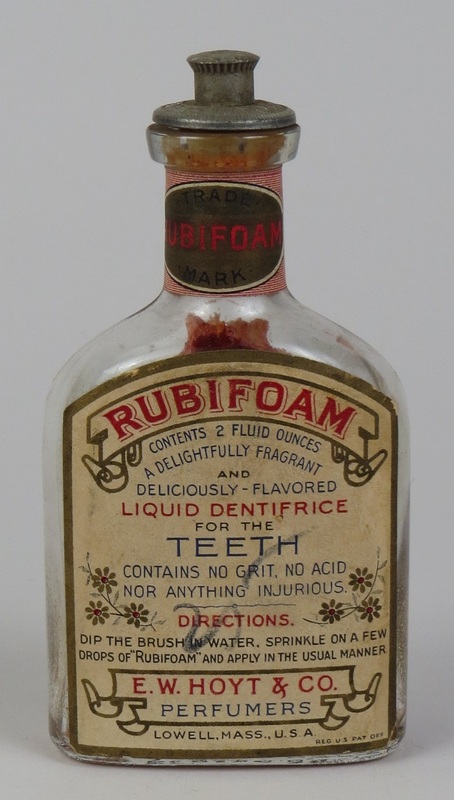 Carbolic acid (phenol) or camphor were sometimes added for their antiseptic properties. 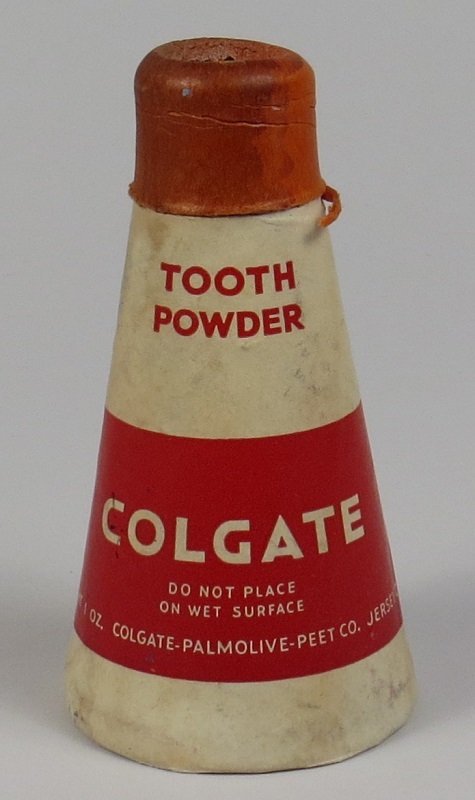 These products are frequently labeled as “carbolic” and “camphorated” dentifrices. Oils of cinnamon, clove, rose, or peppermint were used as flavorings. The red color seen in many powdered and liquid dentifrices was carmine, derived from the cochineal insect. Individuals frequently made their own tooth powders at home, using a recipe of calcium carbonate (precipitated chalk) and castile soap, with herbal oils added for flavor. 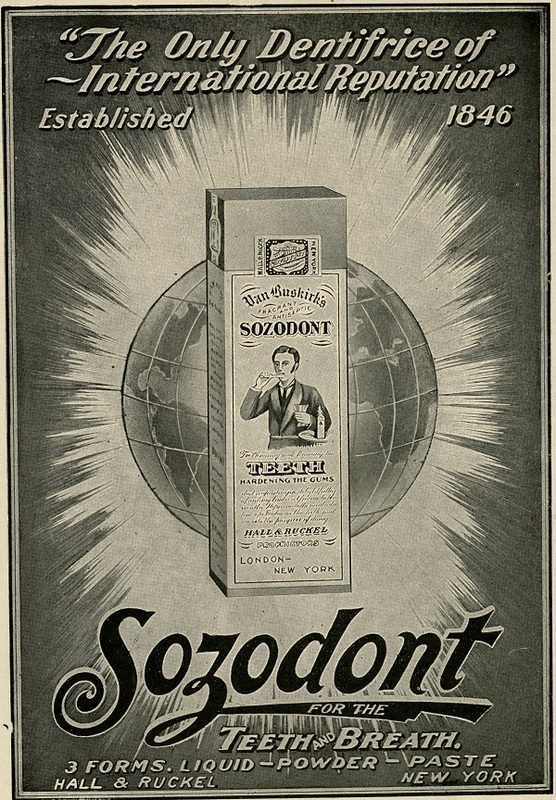 During the late nineteenth century, Sozodont was the most successful patent liquid dentifrice , due in great part to its many eye-catching advertisements. Historian Kerry Segrave notes that Sozodont company profits had reached $10 million by 1894. The product contained a high percentage of alcohol—37.15%. In 1897, the financial manager of the Sozodont firm had to testify before Congress to assure the government that consumers were not purchasing the product as a tax-free form of liquor. Sozodont also contained abrasive and acidic ingredients that gradually destroyed tooth enamel. Before new drug and cosmetic regulations were enacted in the late 1930s, consumers had little information about the ingredients and safety of the products they used. Dentists and journalists wrote articles about the need to warn the public of the dangers of many dentifrices. 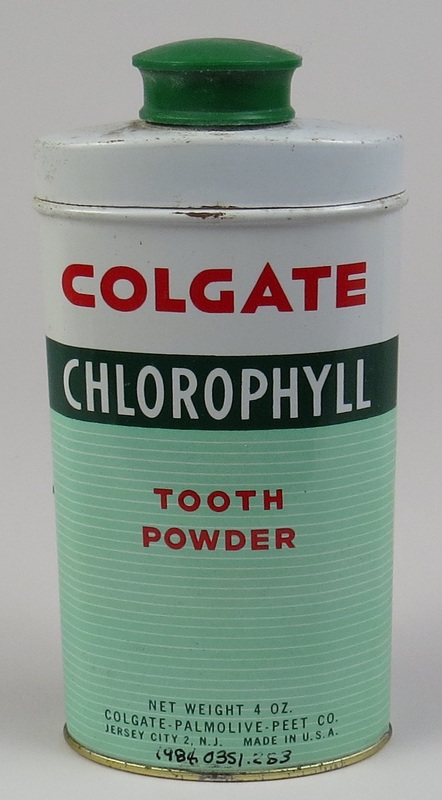 In 1931, the Journal of the American Dental Association reported on the danger of products such as Ex-Cel Tooth Stain Remover, Bleachodent, and Snowy White, which all contained hydrochloric acid. One such product, Tartaroff, was in 1928 famously shown to dissolve 3% of one’s tooth enamel each time it was used. The link between oral hygiene and personal appearance was heavily emphasized in dentifrice marketing. 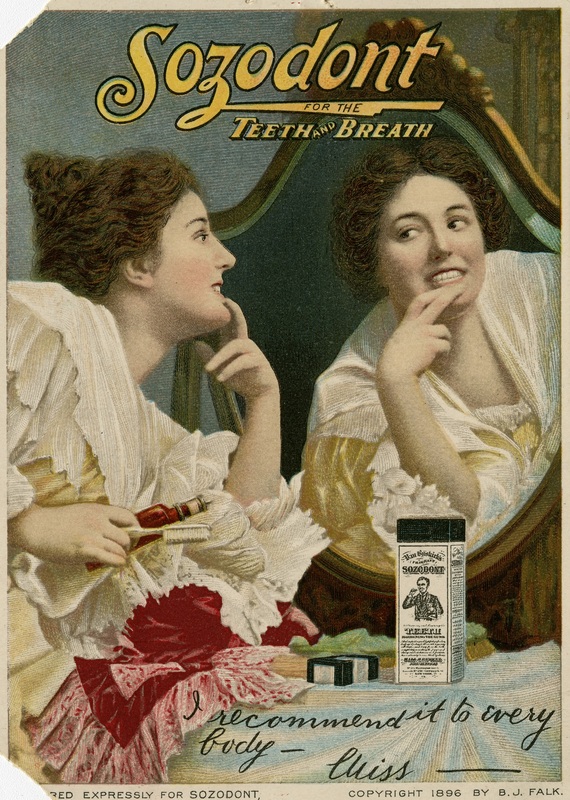 Advertisements for dentifrices frequently claimed their products would make users more attractive by whitening and brightening their teeth and sweetening their breath. 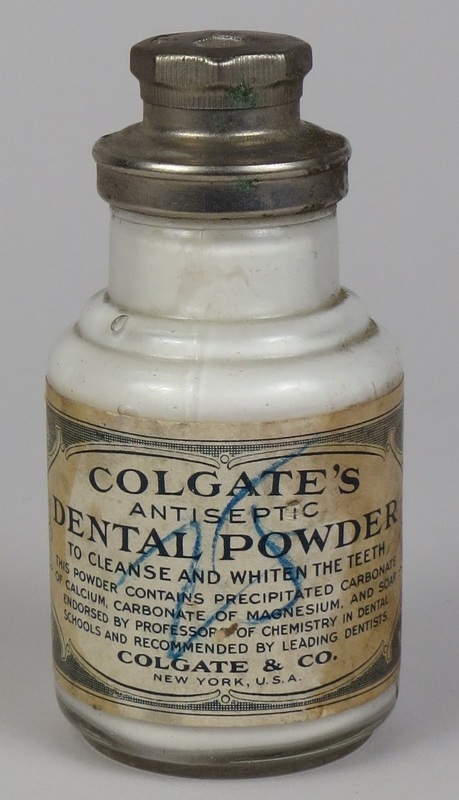 Segrave notes that an 1870 Sozodont ad promised that “Men go wild for splendid teeth.” However, by the 1920s, the American Dental Association was refuting the cosmetic claims made by dentifrice manufacturers, and decrying the destructive abrasives and harmful whitening agents used in many products. During the mid-1940s, as dental professionals raised public awareness of the cause, associated health problems, and possible prevention of tooth decay, the marketing of oral hygiene products changed. Toothpaste had overtaken tooth powder as the more popular form of dentifrice; it claimed around 75% of the American market in 1949. Rather than making cosmetic claims, toothpaste marketing began to focus on a brand’s ability to prevent the acid-producing bacteria that leads to tooth decay. Toothpastes and powders containing ammonia, chlorophyll, and penicillin were introduced, all claiming to stop tooth decay and prevent bad breath. The American Dental Association noted that none of these claims were proven. 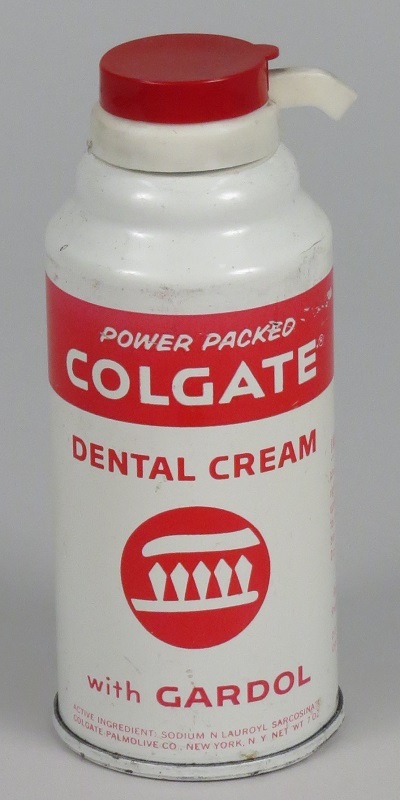 Although fluoride toothpastes had been introduced by this time, it was not until the brand Crest was launched in 1955 that fluoride became the standard and ADA-accepted toothpaste additive for the prevention of tooth decay. The Museum’s collection also contains a variety of more unusual dental hygiene products, such as toothbrushes with rubber bristles, toothbrushes that held sponges or cotton pellets instead of bristles, and the Indexo Finger Toothbrush, a nubby rubber sheath that slips on to the user's finger.